There are many ways to relax in Spain. 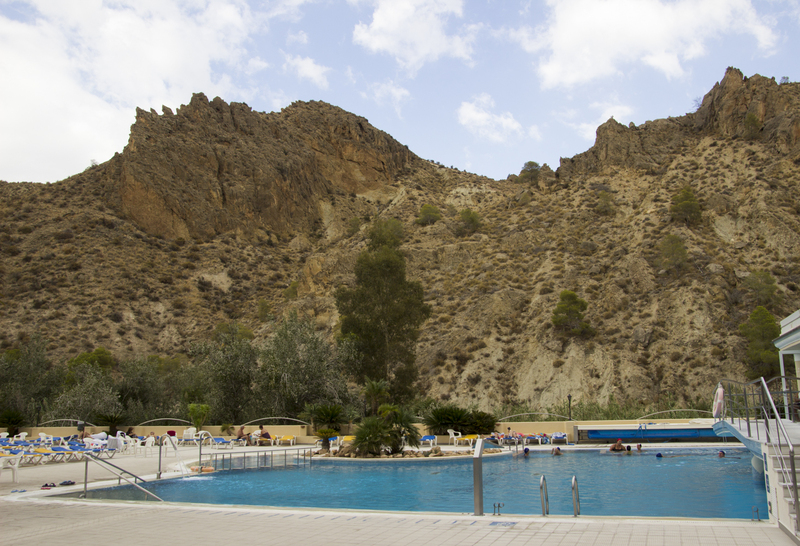 If a spa is your thing, and you are anywhere near the city of Murcia, you should go up into the hills to the small town of Archena. There you will find the baths of Balneario de Archena. It’s a good value place to try out some hydrotherapy. For just €10-14 (depending on the time of year) you can splash about in the pools all day and enjoy some intense massage in the jets, jacuzzis and fountains. Some of them are pretty fierce though, so it’s a good job they automatically cut out after a short while. There’s even a circular current which takes you from the humid air of the inside pools to the cooler climes of the exterior and back again. Outside you can easily see what a spectacular location the spa has. In July and August the pools are open until midnight so you can swim under the stars too. For an extra €25 you can complete a “thermal circuit”. This is all indoors and is an amazing experience. There are three different types of sauna to enjoy, contrast showers with hot and cold water to endure, cold baths to dip in and out of, a high buoyancy pool to float around in and a real icy igloo to test your mettle. The highlight for many though is the opportunity to swim with lemons. The aromatic pool is subtly lit and it bubbles away as you swim amongst the hundreds of lemons floating on the surface. It is an extraordinary way to spend a few hours and highly recommended. 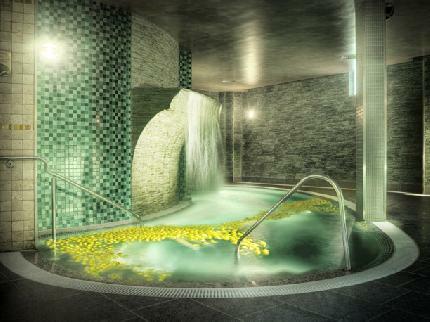 It’s not just about the modern spa and pools though. There are three hotels to choose from if you decide to stay over, and the prices are quite reasonable. If you are only there for the day, don’t forget to visit the hotels, for lurking underneath is an extraordinary labyrinth of old tunnels. They are beautifully decorated and contain remnants from both Victorian and Roman times. Look out for the fountain featuring stone animals from days gone by. It’s unclear if they are dogs, horses or lions, but they certainly add an extra dimension to your subterranean explorations. The tile work is incredible and as you wander, keep an eye out for the instruments of torture left over from a century ago. Quite how these were meant to make you feel better is a real mystery! The stairway leading down from the Hotel Termas lobby also features lots of photos of how the sanatorium looked in its past life. The patients do not seem too comfortable! There is also a casino on site. Don’t expect a roulette table and gorgeous croupiers though. It’s a cafe/club today but worth popping in for a coffee and a look around. There’s even table football, pool and ping pong to entertain you for a while, and a giant chess set waits for players in the attractive gardens. So, what are you waiting for? Head up into the Murcian hills and have a very relaxing time.